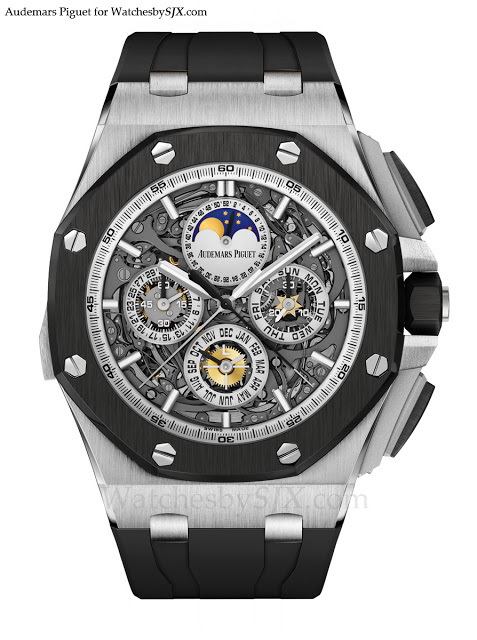 AP recently announced one of the new models that will be launched officially at SIHH 2013, the Royal Oak Offshore Grande Complication in ceramic and titanium. 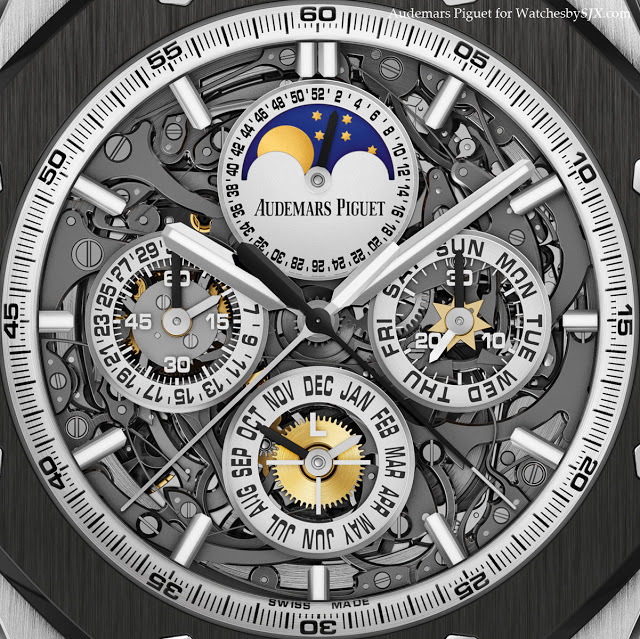 The 44 mm case is titanium, with a black ceramic bezel and rubber strap. Inside is the 648-part cal. 2885 with minute repeater, rattrapante chronograph and perpetual calendar functions. 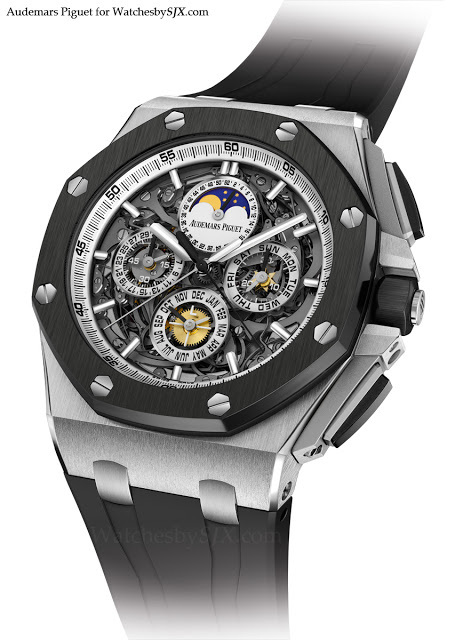 Only three of these will be made, and the retail price will surely be north of a million dollars.